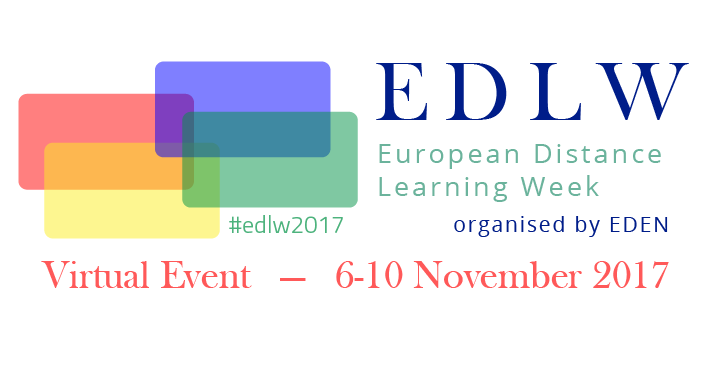 In cooperation with the National Distance Learning Week (NDLW) in the US, organised by the United States Distance Learning Association (USDLA), the The EDLW is organized by EDEN, and coming up next week, with a very interesting program during the week, 6-10 November 2017. During EDLW, there were possibilities to daily participate in online webinars and panel sessions of expert scholars and practitioners who will present a variety of cutting edge open and online learning topics, from innovations in design to open educational research. This Summit gathered some 80 delegates from all over the world. The 15 special invited speakers were a diverse group from different countries and continents, but aslo a variety of profession background, even gender was considered.